Something in the news lately, tied to politics, is bugging me: the way some people are talking about and acting towards the media and journalists. Journalists do an important job — questioning authority, looking for things in the dark that should be brought into the light. But even if the job wasn’t important, they deserve, like everybody else, to go to work feeling safe. In these times, though, being a journalist is a becoming a dangerous job in America. Threatening language or actions of some, which might inspire others bent on doing harm, is beyond thoughtless and inappropriate. Of course, it’s one thing just to use words. However, it seems that those words are becoming actions (something I hope doesn’t continue and become a trend). Consider the thug in Montana who body-slammed a reporter, for instance. Note to Mr. Politician: it’s the job of the press, especially when it comes to politicians (who aren’t exactly at the top of the list of The Most Honest People), to be tenacious stopping just at the outer edge of obnoxious. If a politician can’t handle that, then maybe he (or she) should consider a different career. Being obnoxious trying to get an answer from a public servant isn’t illegal (yet), but assault is — the politician in this case was arrested, as he should have been. (Aside: he’s embarrassingly a hometown boy, born in California, but raised in a Philadelphia suburb). Then there’s the Governor of Texas, who said he’d carry a target sheet around after shooting practice “in case I see any reporters.” Because joking about shooting people is hilarious? Then, there’s the person or persons who thought it was a good idea to shoot out the window of a Kentucky newspaper with a gun (small caliber? B.B.? Does that matter?). Thankfully, the Republican governor of Kentucky denounced the behavior. I wish others with more prominent positions would do so. But he won’t… Of course I blame the guy at the top, who sets a poor example, big league. If he thinks the press is wrong or smearing him or just making him looking bad (though he doesn’t need help in that area), he should rise above and let them be shown as fools, if that’s the case. He’s the President of the United States, the most public and prominent of politicians, and he should act like it. The very least he could do is watch his words and realize the weight they carry. Journalism being a risky job isn’t new, but it is somewhat new to America. Journalists around the world have been killed or imprisoned just for doing their jobs — obviously war reporters take a known risk, but those covering politics also risk their lives sometimes (read more at the Committee to Protect Journalists). But that hasn’t been the case in the U.S.A., and our free press is admired around the world. Because not everyone has that. Knowledge is a powerful thing and those who seek to control know that. Cutting off knowledge at its source, especially a source they can’t control, is imperative to their dominance. 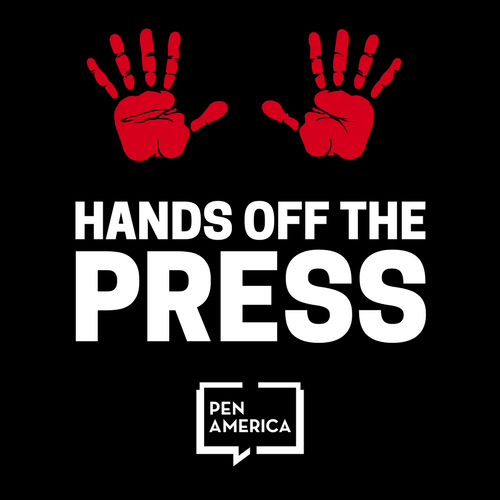 Denigrating the media, calling them the enemy of the people, threatening them, putting hands on them — that’s not America either. I’ll do everything in my power to keep what’s been happening from becoming the norm. And I’m not alone (thank goodness). Me, too, Linda. Hang in there! Excellent essay, Tara! You are right on target, and I hope your words reach the right people. You captured the essence of what’s happening with journalists and the press. I am cautiously optimistic that the America all of us once loved and knew will return.